One of the most prestigious cars in the world didn’t have aristocratic heritage or an exotic Italian name. 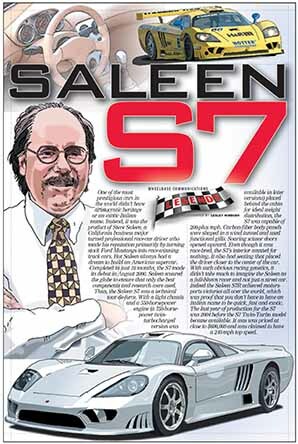 Instead, it was the product of Steve Saleen, a California business major turned professional race-car driver who made his reputation primarily by turning stock Ford Mustangs into race-winning track cars. But Saleen always had a dream to build an American supercar. Completed in just 18 months, the S7 made its debut in August 2000.